Our Body is affected by your life style and work which can result in stress and tension. Luckily, our massage is a great way of relieving stress and tension and at the same time rejuvenating your tired body. Whether you're seeking a complement to your exercise routine, a deep tissue massage to relieve aches and pain, or simply a way to relax your mind. read More Make the Call! 806 236 8507 CONTACT US! Our Body is affected by your life style and work which can result in stress and tension. Luckily, our couples massage is a great way of relieving stress and tension and at the same time rejuvenating your tired body. Many sports injuries, car accidents, repetitive actions on the job and tension from everyday stress can cause problems that will cause pain, headaches, decrease range of motion, lower your resistance to illnesses and compromise your lifestyle. Massage can help you. Massage is a gentle, touch therapy that can relieve pain and bring balance to your life. Massage is not a substitute for medical care but it can reduce or eliminate the need for medication or surgery. Massage therapy will calm your nervous system and gives you more energy. It will relieve many types of muscle tightness especially the back and neck area where most of us store the tension. Muscles can become so contracted that they press on nerves to the arms, hands and legs, causing pain, tingling and numbness. Massage can release muscle spasm and tightness in the shoulders or hip to bring relief. Massage will relieve headaches caused by trigger points, or eyestrain, a low back pain during pregnancy, or the protective tensing of healthy muscles around an injury. Give Martin's Massage a try and feel refreshed and renewed! Our Swedish massage is the most common and best-known type of massage in the West. If it's your first time at the spa or you don't get massage very often, Swedish massage is the perfect massage for you. If you want deeper work and can tolerate more pressure, even momentary discomfort, to get relief from muscle pain, it's better to book a deep tissue massage, which is another form of Swedish massage. 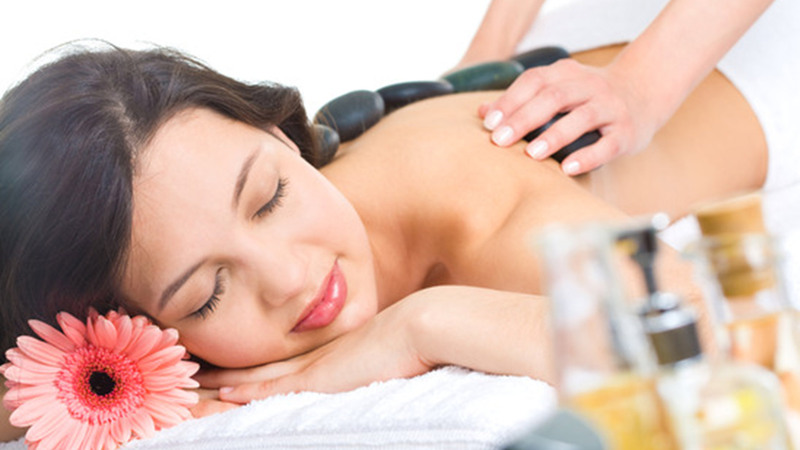 Swedish massage and other types of therapeutic massage are performed by trained, licensed massage therapists. A Swedish massage can be slow and gentle, or vigorous and bracing, depending on the therapist's personal style and what he or she wants to achieve. As Bodybuilding.com points out, Swedish massage's main benefit is the overall relaxation that it provides. The Mayo Clinic notes that massage therapy can be used to help manage pain. Swedish sessions can target specific areas of pain like a sprained ankle, or they can be used to help manage the chronic pain that comes with conditions like arthritis. The Associated Bodywork and Massage Professionals (ABMP) notes that Swedish massage can break up muscle adhesions and help promote the healthy healing of scar tissue. Our Relaxation massage is essentially the same as a gentle Swedish massage that uses smooth, gliding strokes. The primary purpose will be to help you relax, and the massage therapist will probably move at a slower pace and use light pressure. During a relaxation massage there is less emphasis on working out serious adhesions or knots in the muscle tissue and the therapist won't push your pain limits in order to get the muscle to release. Sometimes people even fall asleep during a relaxation massage. There are still substantial health benefits to a relaxation massage, including calming the nervous system, promoting a sense of well-being, improving blood circulation and stimulating the body's lymphatic system, which carries away waste products. You will gain Improved Sleep. Deep tissue massage is a type of massage aimed at the deeper tissue structures of the muscle and fascia, also called connective tissue. Deep tissue massage uses many of the same movements and techniques as Swedish massage, but the pressure will generally be more intense. It is also a more focused type of massage, as the therapist works to release chronic muscle tension or knots (also known as "adhesions.") Will A Deep Tissue Massage Hurt? It shouldn't hurt, but it's likely to be a bit more uncomfortable than a classic Swedish massage. You should always feel free to speak up if the pressure is too much for you. It's important to drink a lot of water after a deep tissue massage to help flush lactic acid out of the tissues. If you don't, you might be sore the next day. It's possible that you might feel some soreness the day after a deep tissue massage even if you DO drink water. This just means a lot of waste products were flushed out of the tissues. It should pass within a day or so. Release of tension and stiffness from muscles, tendons, ligaments, joints and fascia. Improved mobility, posture and physical performance. A trigger point is a hyperirritable spot that is painful. It is called a trigger point because it "triggers" a painful response. But a trigger point is more than a tender nodule. It affects not only the muscle where the trigger point is located, but also causes "referred pain" in tissues supplied by nerves. Trigger points are located in a taut band of muscles fibers. The trigger point is the most tender point in the band. The therapist will locate and deactivate them using finger pressure. One technique is to pick up the muscle fibers in a pincer grip. What You Should Know About Trigger Point Therapy It is used to treat painful trigger points that cause referred pain. It took a while to get the muscle in that condition, and it will likely take more than one massage to get rid of it. These points are often areas of chronic "holding" and you need to learn how to move in different ways to keep them from recurring. Effective for chronic pain conditions. Fosters a sense of well-being through renewed energy and a cleared mind. Helps reduce symptoms from fibromyalgia, depression, anxiety, insomnia. Massage is a great way to relief your plantar fasciitis. It works in a similar way to stretching as massaging the plantar fascia loosens up the tissue as well. If you combine the two together, massage and stretching, then you get a compounded affect. You can massage your plantar fascia with your hands by kneading the bottom of your foot or, if you are lucky, getting someone else to massage the bottom of your foot. To get to the plantar fascia you need a strong massage not just a superficial one. Highly targeted, therapeutic massage can help by relaxing and lengthening the muscles of the calves, the calcaneal tendon, as well as directly working on the plantar fascia and muscles of the underside of the foot. Highly beneficial because through it, we can help to re-educate your legs and feet to retain their relaxed states. Many clients see dramatic improvement in three to four weekly one-hour sessions, as the feet and legs receive detailed attention. Pain can be reduced and eliminated with a combination of self-care and massage. In honor of service men and women, we offer $10 off the regular price of an hour or more massage with military ID. I have sciatic issues and it is the only thing that has helped me! Martin is awesome! Hi! I would like to say that my experience with Martin's Massage was very therapeutic! I went in for sciatica pain. I was able to get a same day appointment and it was a Sunday! After my initial visit, I had immedate relief. I have been pain free for about a year and a half now! I was battling migraines for a while and it was recommended for me to start getting massages to help. issues with migraines and just feel better all around. This truly is a great experience and I would recommend it to everyone! From my initial conversation on the phone to the moment I met him, Martin was easy to talk to and made me feel very comfortable. His studio was clean and comfortable, with relaxing music and serene surroundings. It was very evident from his demeanor and intuitive approach to massage that Martin really likes what he does. He uses a variety of techniques and pressures along with stretching excercises for maximum benefit. He took his time on the problem areas using just the right amount of pressure and the massage never felt rushed. Martin made me feel totally relaxed and I felt completely recharged after the appointment. I always measure the quality of the massage by how well I sleep that evening and I honestly don't know that I've slept better. I am already looking forward to my next appointment! The first time I came to Martin Martinez for a massage I felt very comfortable. The atmosphere and wonderful massage made me feel tremendously refreshed! I returned several times thereafter, and I will continue to come in the future! Contact us or schedule an appointment! All fields are required. Amarillo Massage - Martin's Massage © 2016. All Rights Reserved.